If ever someone might feel overwhelmed at a situation totally out of their control, Joshua’s experience facing Jericho was it. Not only did the wall surrounding Jericho look invincible, but there was also the issue of Israel’s army lacking the proper weapons for tackling such an impressively guarded city. You can’t exactly pull down walls with arrows and spears. That’s a job for battering rams and catapults – items noticeably missing from their arsenal. But they had come too far to turn back. And the people of Israel were counting on him to lead them into this land promised by God. With all of these facts and details weighing on him, Joshua is suddenly confronted by a man with a drawn sword. Scripture reveals that this is no mere human. This is the commander of the Lord’s army — God’s presence in human form. And this is no everyday occurrence either. It is an incredible encounter. Wrapped in this honest question we discover hesitancy in Joshua — a peek inside his thought life — a need for reassurance. Such an honest question, but one that makes me believe Joshua isn’t walking in complete confidence and assurance. If he were, he wouldn’t have asked. But he did. 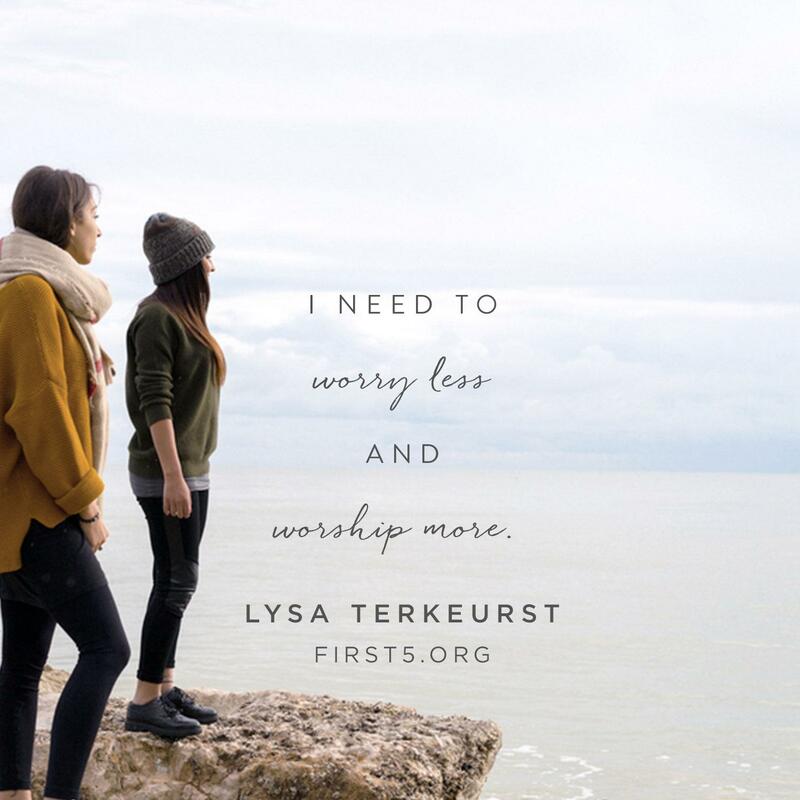 Worship may not be the first thing that comes to mind when we feel overwhelmed, but it truly is powerful. It reminds our trembling hearts and shaky knees that our God is mighty, our God is loving, and our God is a more than able God. It both quiets us and strengthens us – perfectly preparing our hearts and minds for whatever battles lie ahead. I don’t know what “walls” you are facing in your life right now, friend. I don’t know how overwhelming and daunting they may seem. But I do know the perfect battle plan for each and every one of us. Prayer: Father God, thank You for knowing exactly what I need. I think I need details and battle plans for the difficult situations before me. But You tell me what I really need is to fix my eyes on You. You remind me that the best way to prepare my heart and mind for battle is to simply and humbly worship You. So today, as I lay my fears down at Your feet, I lift my hands up to You in worship. You are worthy of my trust. You are worthy of my praise. Today and every day. In Jesus’ name, amen.